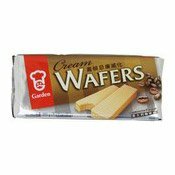 Produced in a factory where egg products, peanut products, sesame products, tree nuts and nut products are also handled. 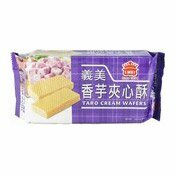 Ingredients: Wheat Flour, Palm Oil Shortening (Antioxidant (Ascorbyl Palmitate (E304), Mixed Tocopherols Concentrate (E307b), Soy Lecithin (E322))), Sugar, Whole Milk Powder, Corn Starch, Flavouring (Emulsifier (Propylene Glycol (E1520))), Leavening/Raising Agents (Sodium Carbonate (E500), Ammonium Carbonate (E503)), Emulsifier (Soy Lecithin (E322)), Salt (Anti-caking Agent (Sodium Ferrocyanide (E535))), Colour (E160a) (Stabiliser (Gum Arabic (E414)), Antioxidant (Sodium Ascorbate (E301), A-Tocopherol (E307)), Anti-caking Agent (Silicon Dioxide (E551))). 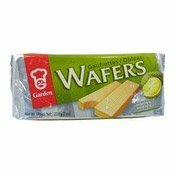 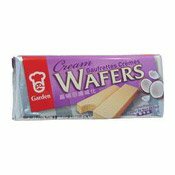 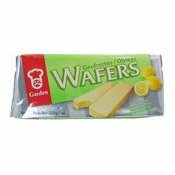 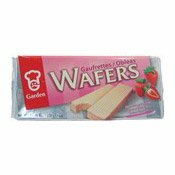 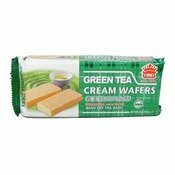 Simply enter your details below and we will send you an e-mail when “Cream Wafers (Durian) (嘉頓榴蓮威化餅)” is back in stock!